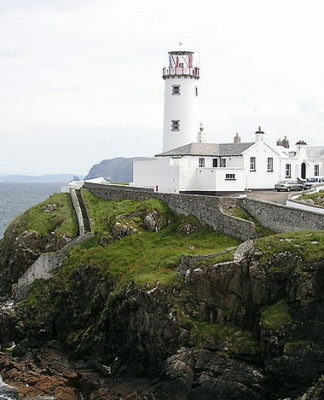 At Gortmore Viewpoint, the view extends to Donegal and Islay and Jura islands on the Scottish west coast. Families and individuals can easily hold picnics there and enjoy their day, if the weather permits. 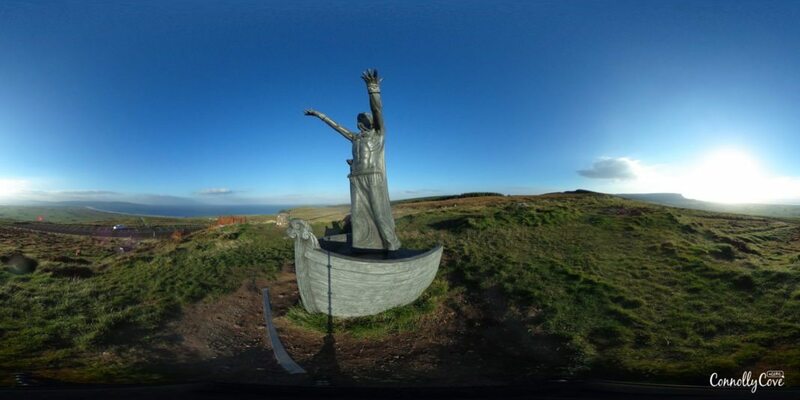 Visitors will also be able to view the sculpture of Manannan Mac Lir, a sea God originating from this area. At Gortmore Viewpoint the outline of Binevenagh Mountain and Lough Foyle is quite visible. You will also be able to catch a glimpse of the Magilligan Special Area of Conservation as well as the classic land slips below the cliff line. Overlooking Benone Beach, Lough Foyle and the Inishowen Peninsula, this walk offers stunning views of the coastline and countryside. This path also crosses through the town of Gortmore and continues on to through an open field before reaching a small headland. Then, one of the largest sand dune systems in these islands that forms part of Magilligan Special Area of Conservation come into view. 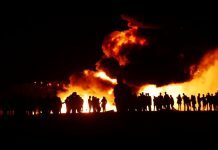 As you keep going South following the fence line uphill taking you to Bishop’s Road, you will go past Hell’s Hole. 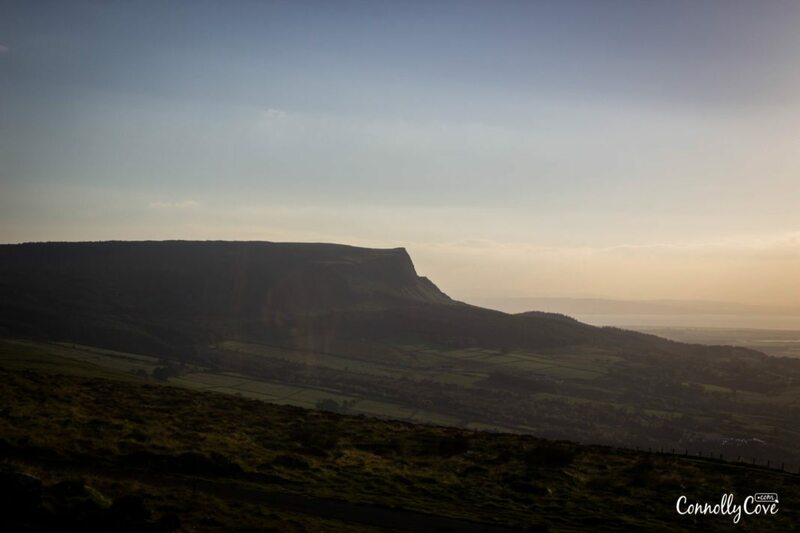 Binevenagh Mountain towers over Limavady Borough, giving breathtaking views of Lough Foyle, Inishowen and the northern coastline. It is also home to a wide variety of birds including the peregrine falcon. 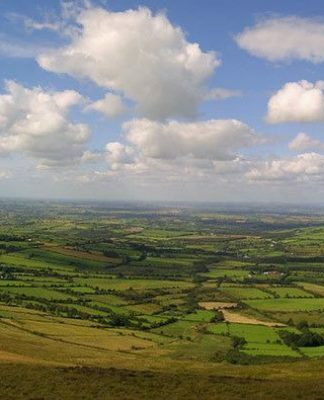 The Binevenagh Area of Outstanding Natural Beauty (AONB) received its protected area status in 2006. The area’s significance is due to its distinct balance of natural, man-made and cultural heritage. Along the extent of the northern boundary of the AONB are some of the widest dune systems and the finest stretches of beach in Ireland. Beyond the beaches, the coastal waters around Binevenagh AONB hold a wide variety of marine habitats, a primary food source to many popular seafaring birds. This area also provides a haven for a variety of wild bird population. Binevenagh Mountain is located west of Downhill Demesne, which nestles below the cliff beneath the Mussenden Temple. The Mountain was formed 60 million years ago, when successive volcanic eruptions that also formed The Giant’s Causeway reached their westernmost extent here. According to legend, Viking raiders once mistook the mountain for a fortress and fled, rather than fight the men who could build something so enormous. The Bishop’s Road winds along the crest of Binevenagh, offering spectacular views all the way. Some even say that this wild place is where the last wolf was slain in Ireland. Along the road, about a mile away, we can also see the Tamlaghtard Church. The Church was commissioned by Frederick and finished by his architect, Michael Shanahan around 1787. 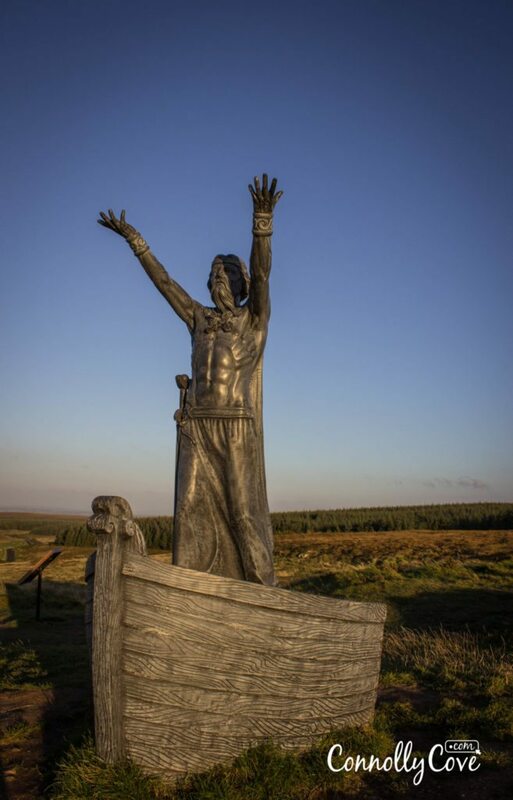 The Celtic God of the sea, after whom the Isle of Man is named, is one of five life-size sculptures highlighting the myths and legends of the Roe Valley’s cultural heritage. 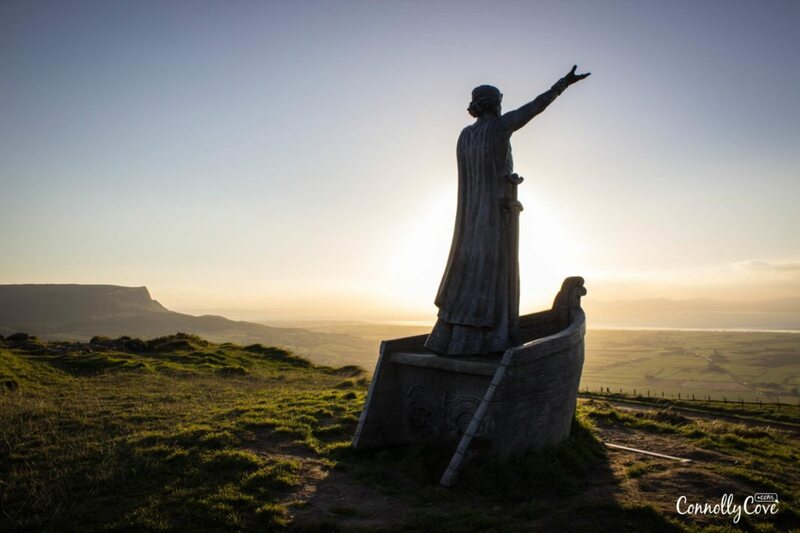 The mountain statue made headlines in 2015 when it suddenly disappeared from Binevenagh Mountain and went missing for an entire month. 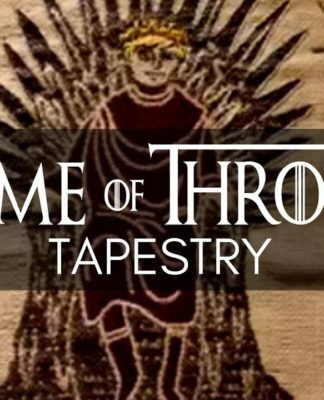 The monument was created by sculptor John Sutton, known for his work on the popular HBO hit TV series Game Of Thrones, had become a popular tourist attraction. 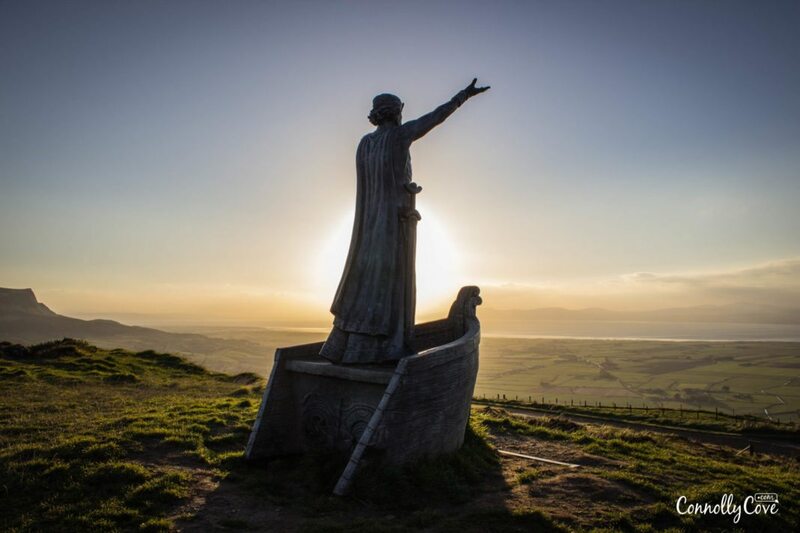 The monument featured the figure of Manannan Mac Lir standing in a boat’s prow at the top of the mountain. 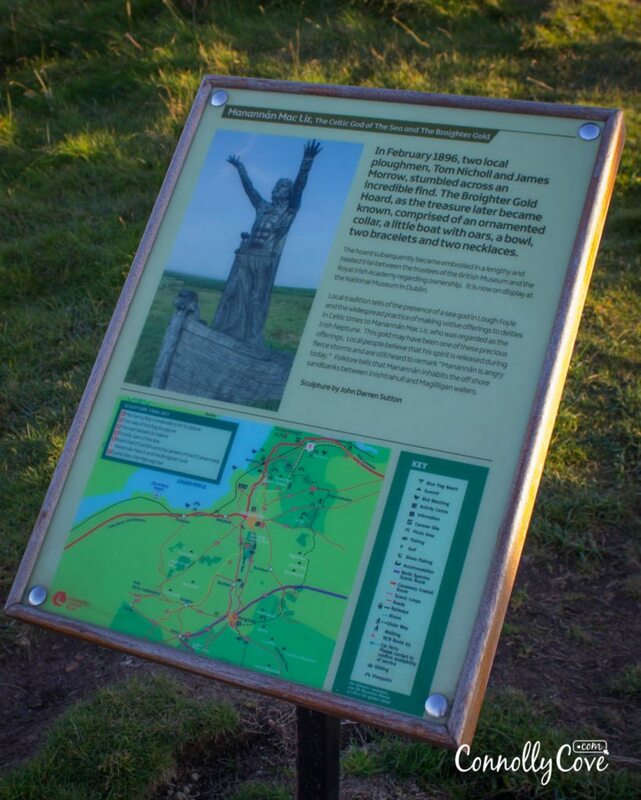 The nine feet monument was later found by a group of ramblers dumped on the mountainside just a few hundred meters from its original spot after a land and air search involving PSNI officers had failed to locate it. The statue was badly damaged and whoever cut it down left a wooden cross with the words ‘You shall have no other gods before me’ in its place. The artist spent the next six months painstakingly creating a replacement sculpture to be put in the original’s place. The SDLP’s Gerry Mullan said that sculpture was vital for local tourism, “The replacement … quickly attracted a large crowd of spectators. Some people might say this is a huge waste of money, but I think it is a vital investment in tourism for the local area. The original one was found with chunks missing from its head and was too badly damaged to be put back. But I am hoping we can use it in the local arts centre for educational purposes. 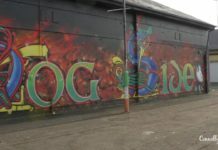 Local people living near Lough Foyle believe Manannán’s spirit is released during fierce storms and some even remark “Manannán is angry today”. It is believed that he inhabits the offshore sandbanks between Inishtrahull Sound and Magilligan waters. 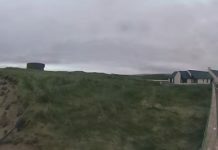 Historians believe that Mannin Bay was named after him and he is thought to be an ancestor of the Conmhaícne Mara, the people for whom Connemara is named. According to local folklore, one-day Manannán’s daughter was caught in a storm while boating in Kilkieran Bay, so to rescue her from the danger she was in, he conjured up Mann Island. Now you know the answer to the regular pub quiz question “Who is the god of the sea?” Just remember to answer with the Celtic god! 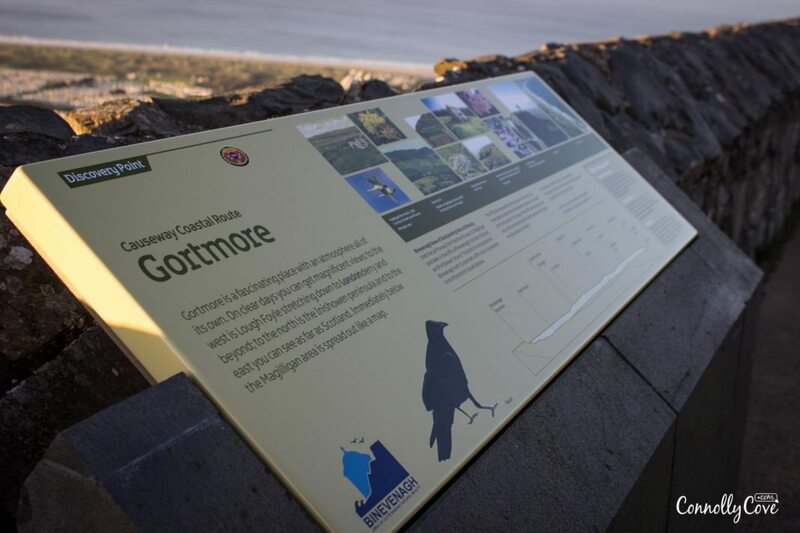 Why not check out the Gortmore Viewpoint in a 360 Degree Video Experience – experience it as if you were there! Located within the Roe Valley Arts and Cultural Centre, Limavady Visitor Information Centre provides information services for locals and visitors who are new to the area. 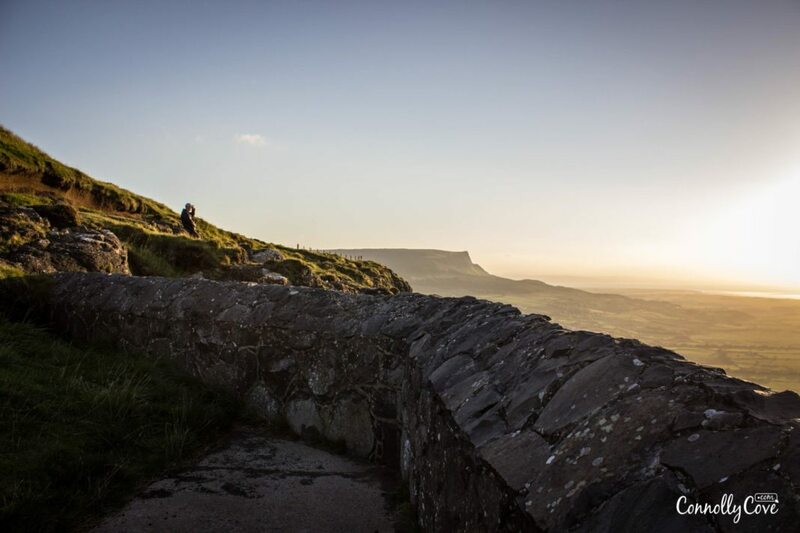 The centre provides a range of free tourism literature, including accommodation, events, visitor guides and maps with details on the Causeway Coast and Glens area and Northern Ireland. 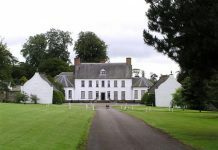 It also provides an accommodation booking service, assistance with genealogy inquiries and information on planning trips. 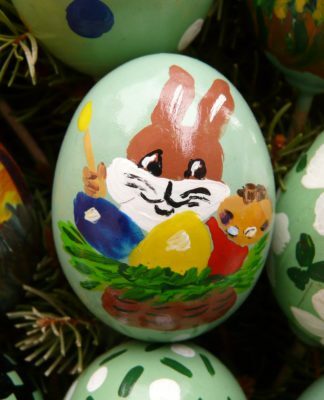 The centre is open all year round Monday through Wednesday and Saturday 09.30 – 17:00, Thursday & Friday 09.30 – 21:30. 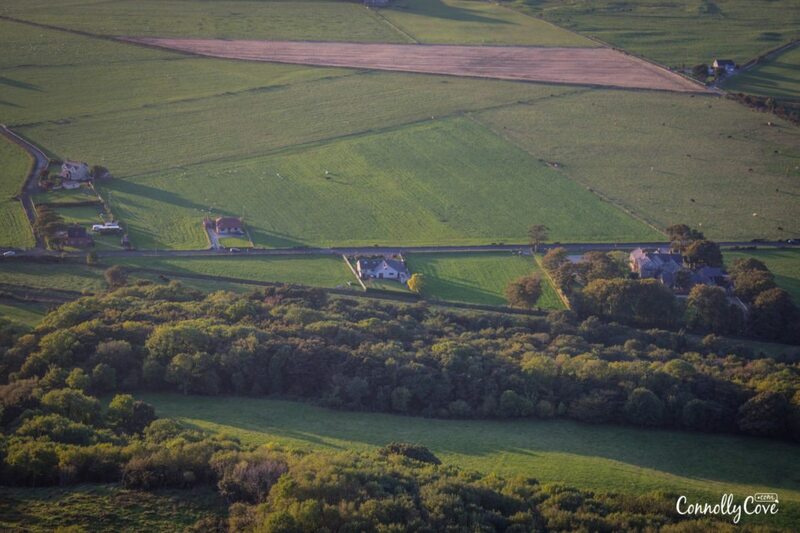 Have you ever visited Gortmore or Binevenagh? We would love to know your thoughts. 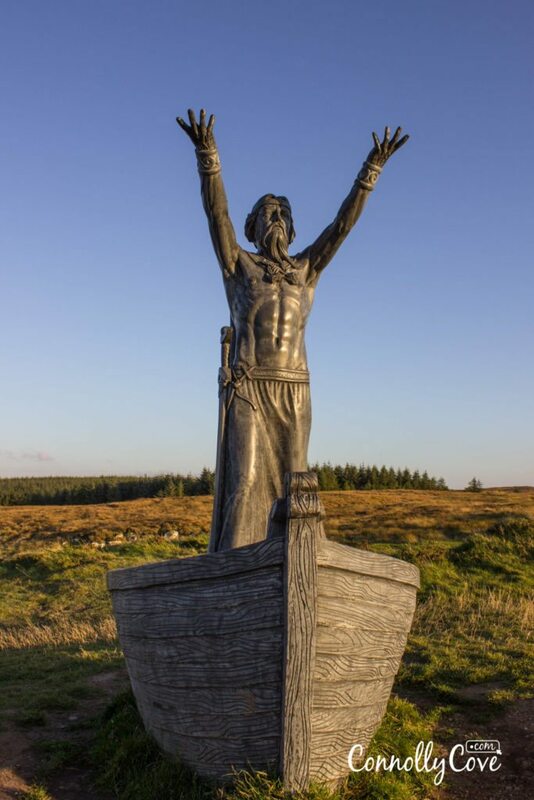 What do you think of the Statue of Manannán Mac Lir? Why not let us know below! 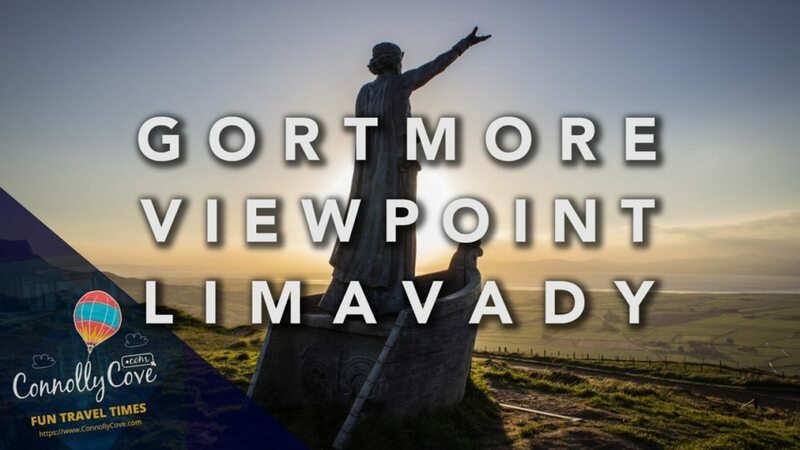 The Gortmore Viewpoint will not disappoint you. The views you will experience are breathtakingly beautiful. As well as checking out the Famous Statue of the Irish Sea God. Make sure it is on your list of places to visit when you come to Northern Ireland.